So that’s it Zuma? We’re not Africans from Africa? Despite the fact that the very word is in our country’s name? But hang on, we aren’t really in Africa. We don’t experience the horrors of child soldiering, blood diamonds, civil war or move betwixt and between categories like failed or quasi states. We’re not victims of militia groups or ethnic cleansing. But that’s just it, Africa is diverse, it is the Cape Point of diversity. A continent that holds all these stereotypes is also home to everything people like to refer to as “unAfrican”. As problematic as it is, anything that falls out of the African stereotype is not perceived African. Suddenly development is unAfrican and progress is unAfrican but perhaps its time to challenge this narrow definition of what it is to be called African. While incredibly poorly worded and a clear indication that Zuma should be in the market for a new speech writer, he has a point. We aren’t the African stereotype and while it is hugely problematic that we must be defined as unAfrican because of this, it’s a powerful tool in challenging the perceptions of Africa. That is not to make light of the horrors that do often inflict South Africa. Its undeniable that we have staggering levels of inequality and poverty that are clear as soon as you drive to the corner of any major intersection. But we turn up the radio to drown out the cries of begging, of dire poverty. The even harder to swallow reality is that we are often dubbed the crime capital of the world. No one could dispute this and anyone who tried could sadly be put in their place with the mere mention of Diepkloof. Trawl through the news and you’re presented with cases too blood curdling to even be considered the next episode of Criminal Minds. But we are also not on the brink of civil war, as so many African nations are. We aren’t facing a failing economy, in fact we are often portrayed as Africa’s powerhouse. African nations are presented at the UN as troublesome, the responsibility of whichever first world nation is equipped at the time and the proverbial neverending story with no happily ever after in site. But not in South Africa.We’re a member of BRICS, we have ex-presidents engaged in diplomatic relations, we often take responsibility for Africa’s problem states. I am hardly advocating for e-tolls but suddenly e-tolls aren’t the issue anymore. The issue has become that we, while (now) ironically called South Africans, are not Africans in Africa. 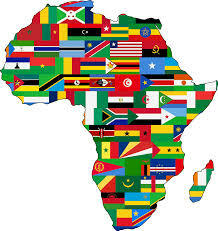 We’re in a bubble and relate to the problems of the problematic African states as any external actor would – with horror or perhaps indifference but from a standpoint of a nation that is far more developed and far more stable than some of our counterparts. But we have not suddenly become unAfrican, we’re the challenge to the perceptions of Africa, we’re changing the stereotype – and maybe that’s not such a bad thing.